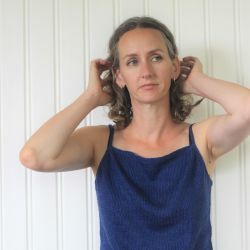 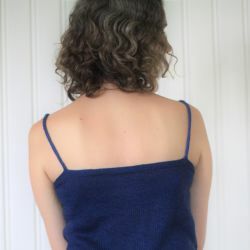 Knit a faithful basic, or design your own camisole with this "blank canvas" pattern from Kniterator! 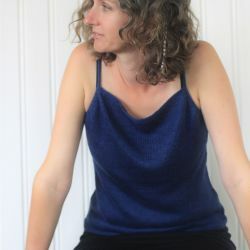 Choose either a relaxed straight fit or add your measurements for shaping through the waist & hips. 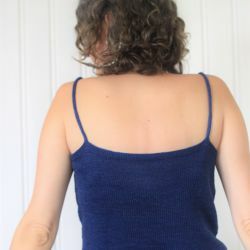 The pattern includes instructions for both i-cord straps or wider, flat straps. 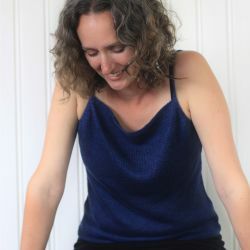 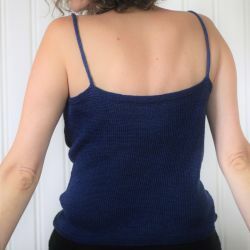 In plain stockinette this pattern is perfect for showcasing a special yarn, or if you're feeling inspired you can use the pattern as a base for adding your own design elements - hit up your favourite stitchionary for a special lace or cable panel to make your camisole truly unique!